UnionWest is a new urban high-rise building at Creative Village in Downtown Orlando. The property has been thoughtfully designed to provide a variety of functions in one building. UnionWest offers the chance to experience the convenience, vitality and diversity of Downtown Orlando while living in purpose-built student housing managed by UCF. 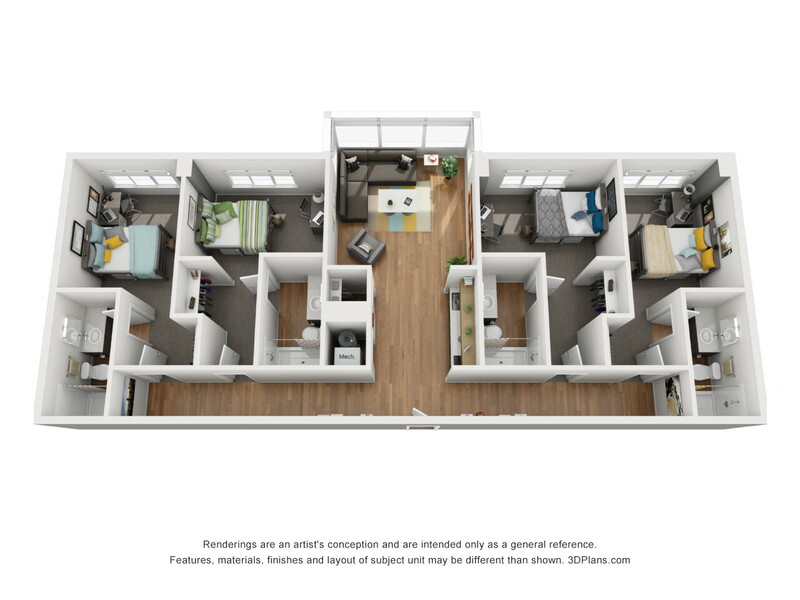 UnionWest has three different 4-bedroom floor plans to suit the needs of many types of students. 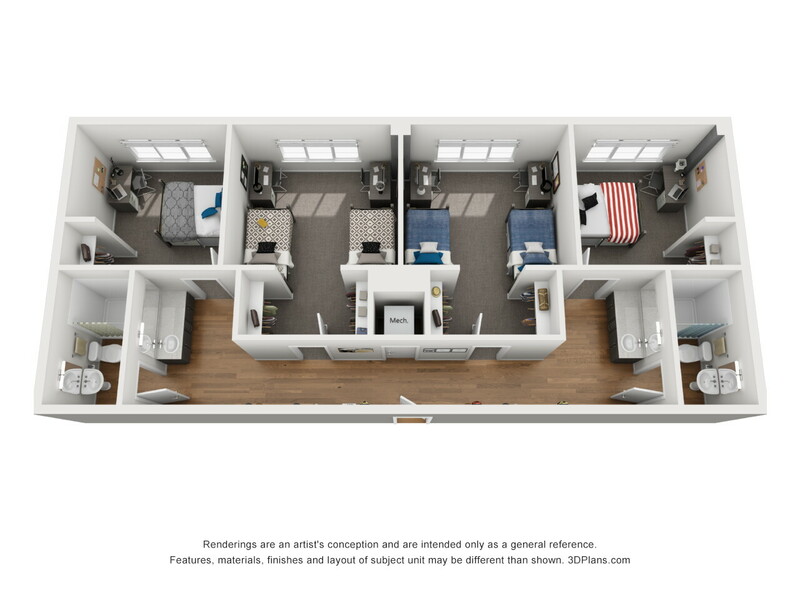 Shared bedrooms are available in two of the three unit types, while private bedrooms and baths are also available. All units are furnished and include a mini fridge for each resident. Utilities- including power, water, trash, high speed Wi-Fi and cable are all included in the price. 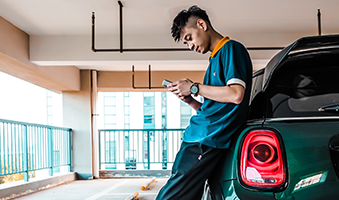 Residents of UnionWest have the opportunity to reserve assigned, 24-hour parking spaces in the privately-managed UnionWest garage, which is attached to the building. The resident rate for a space is $110 per month, below market for the downtown area. Parking reservations will be taken on a “first come” basis. To reserve a spot, please e-mail UnionWest@platinumparking.us. UnionWest housing applicants will receive additional parking information as it becomes available. 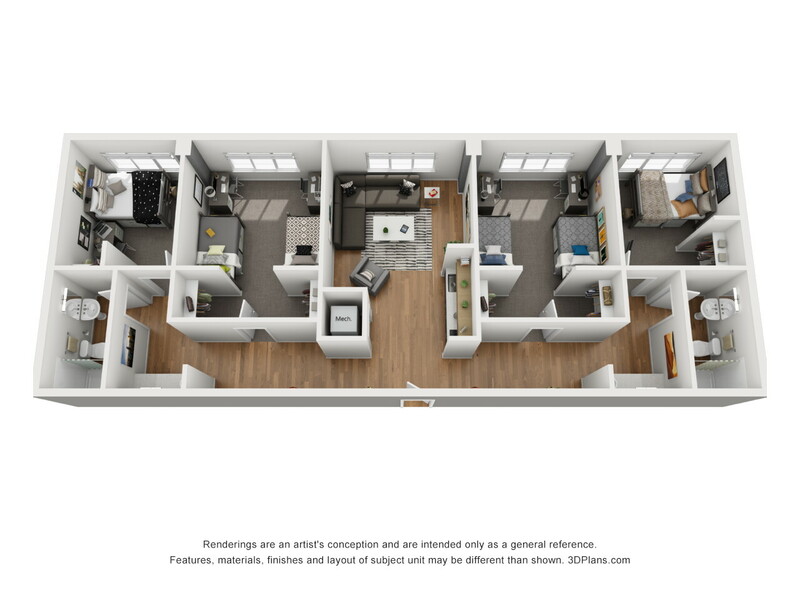 Click below to view a 3D walk-through.